I am happy to announce that our "Platypodes" stationery is now available in our etsy shop. This opening scene, of Freddie Platypus as a little baby in his envelope, has always been a favorite of mine! 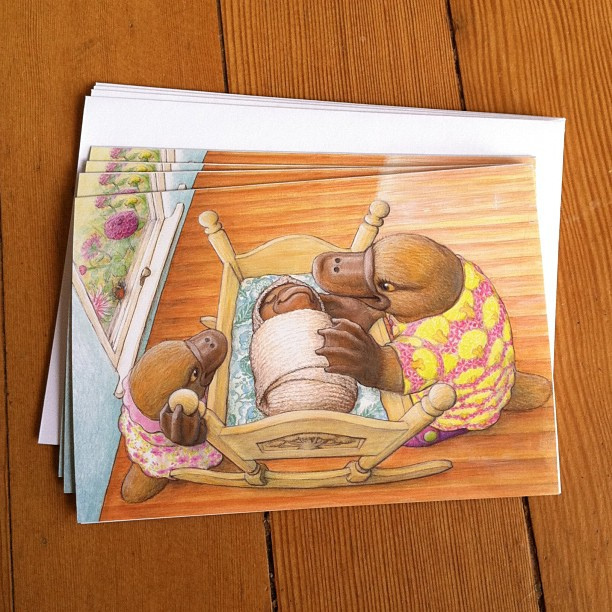 Our greeting cards are professionally printed and come as a set of four notecards. I was thinking it would be fun to do a little giveaway, what do you think? 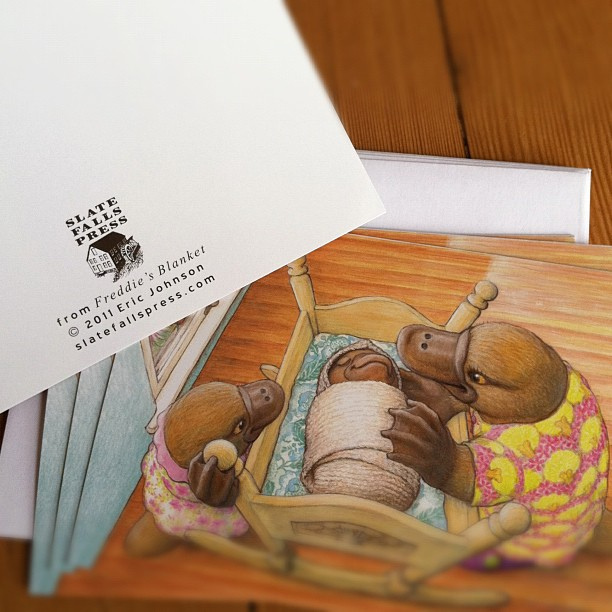 I will include a set of Freddie's Blanket notecards along with a set of four Phoebe's Sweater notecards, too. This Giveaway is now closed. Thank you all for sharing! Random Number Generator chose a winner and the winner is.... henniepennie on Ravelry! Giveaway ends on March 19- here are the details! 1. Leave a comment to enter giveaway. 2. Share the giveaway on Facebook and let me know about it to enter again. 3. Same thing for Twitter, too. 4. To enter a fourth time, promise to send a handwritten letter to someone you love, and share how this person has changed your life. I am going to send a letter to my Grandmother. How about you? What beautiful notecards! I hope I win. Those are amazing, I love it! I love these precious notecards. I have always enjoyed sending notes to friends and loved ones. I think I would choose one of these cards to send a note to a life-time friend that now lives a significant distance away. I would send a note to my mom while she is in Germany on vacation. I liked you on facebook. These cards are beautiful! I love sending little notes to people I cherish, and I am always on the lookout for something sweet and unique! Oh, and I actually have a card sitting right here on my desk waiting to be written- a birthday card for my grandpa. No life-changing story to share, but it's always nice to get a handwritten card and letter, isn't it? I also live 8000 km away from my family, which makes mail extra special!! The note cards are adorable. What a talented family you are. 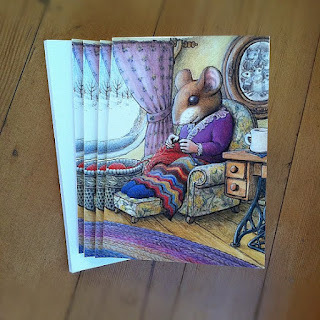 I would write two notes by hand -- the crafty mother mouse would be sent to my Mother-in-law in Scotland because she loves getting mail and is a knitter and crocheter as well. The "Platypodes" note card would be sent to my sister-in-law in Australia because the platypus is one of my (and her) favorite critters. Thank you so much for the lovely giveaway. 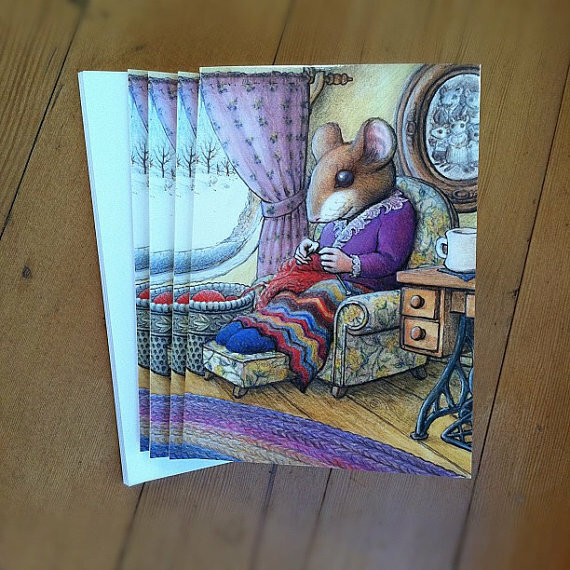 Aww they are very cute and make one want to go find the good pen and sit with a cup of tea and send off missives to friends near and far. Tomorrow I will sit down with a cup of coffee before I go to work and send my dear friend a note of gratitude for spending her day off from the job from He** with me driving my daughter 90 miles away and then going to learn to knit socks on no sleep just beczause she is the best of pals. I am a fan of your books, and I would love your notecards as well. The iilustrations are just amazing. I would write a letter to each of my children. They have immensley changed my life. I gave them each a book last year for Easter. Freddie looks adorable all swaddled up! I promise to write to my best friend, who's been part of my life for over a decade. Beautiful cards! Would love to win. I promise to write a letter to a friend whose birthday is coming up. These are darling! Aside from the obvious card use for babies & baby showers, this just brings up a whole host of lovely family memories! I'd send one to my sister for all her support and to encourage her as she's going back to work after being a stay at home mom. She's definitely an inspiration to me and great support as I embark on my own family journey. 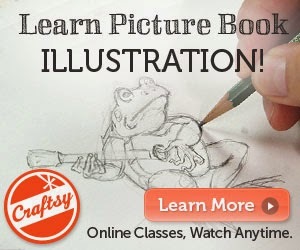 What loverly sentiments can be shared with the brushstrokes of your talented hubby! Count me in! I'm definitely sending one of the cards to my teaching partner who helped shaped my first years of teaching! I'm not much of a Twitterer but I will post on FB! Wow!! How cute are these?? I am going to write my friend and let her know how much I appreciate her friendship and how she has helped me through a difficult time. Just sent a note to my husband's aunt at your prompting! Our local small town paper did a story about my knitting hobby, and I had to send her a copy of the article, with a note of thanks, as she was instrumental in getting me knitting again. These note cards are so cute! I am going to write a note of encouragement to my mom since she is going through a rough time right now. I love it. I have (or had) a set of the Phoebe's sweater card, people love them. I love your books and these cards! Thanks for the giveaway. I am sending letters to my sisters. Saw Freddie's Blanket on Ravelry and came here to find out more. These cards are lovely.